How many people do you know who have contracted Legionnaire’s Disease? I know one. I had an uncle who died from it in 1978 after a holiday in Benidorm. I still don’t drink the water in Spain unless it’s from a bottle. How many people do you know who have contracted Legionnaire’s Disease due to the conditions of the rented property they live in? I don’t know any. A recent change in the Health and Safety Executive’s legislation now means there are regulations applied to residential lettings which previously didn’t apply due to their size. In the private rented sector the legislation applied to landlords and managing agents and landlords should be aware that the responsibility cannot be delegated a third party. You can instruct your agent to carry out the risk assessment or outsource it but if it’s not done, the buck stops with you. 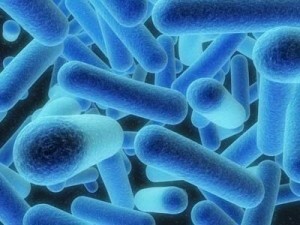 Legionella bacteria multiplies in water storage tanks and can be spread from showers and tanks. A risk assessment must identify and assess potential sources of exposure and a course of action planned to control and prevent the risks identified. Are conditions right for the bacteria to multiply – water stored at a temperature of between 20 and 45 degrees celsius? Are there areas where stagnant water occurs? Are there infrequently used showers, taps or other outlets? Is there debris, such as rust, sludge or scale in the system? Are there thermostatic mixing valves which set a favourable outlet temperature for legionella growth? Are any of your tenants vulnerable to infections? Ensuring water cannot stagnate anywhere in the system. Keeping water cisterns covered, insulated, clean and free of debris. Maintaining the correct temperature of the hot water storage. Advise maintenance contractors working on the system about the risks and how to minimise them. Advise tenants about the risk, the measures you are taking and the precautions they should take, such as flushing through outlets after a period of non-use. Review the risk assessment at regular intervals, especially if any factors change including if vulnerable groups move in to the property. If the risks are insignificant review the assessment periodically especially if any factors change, such as if the tenancy changes to include sick or elderly people. Download the Essential Information for Providers of Residential Accommodation here. Download the free web version of the Approved Code of Practice and guidance for the control of legionella bacteria in water systems here.